A good thriller is hard to come by. For proof of that, scroll through your Netflix menu and behold the scores of movies labeled “thriller.” New ones appear seemingly overnight, and most of them are, well, straight-to-Netflix dreck. That’s why it’s disheartening when a good one comes along, like Transsiberian, and gets buried in the pile. It’s a shame because if you like Hitchcock, or if you’re a fan of the Russian novelist Dostoyevsky, here is North by Northwest meets Crime and Punishment. OK … maybe not quite in that league, but close enough. 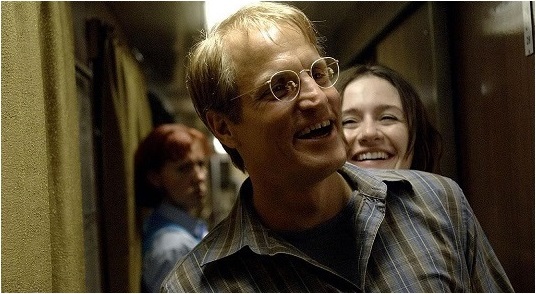 Woody Harrelson and Emily Mortimer play an American couple aboard a train traveling from China to Moscow. They meet another young couple (Kate Mara and Eduardo Noriega), with whom they share cramped sleeping quarters. 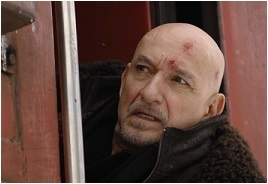 But someone has a secret, and it’s not long before a Russian cop (Ben Kingsley) takes more than a casual interest in this quartet of travelers. Director Brad Anderson, who inexplicably works mostly in TV these days (Rubicon, The Killing), devotes the first half of his film to character development, atmosphere and, a la Hitchcock, planting ominous seeds of what’s to come. It’s no accident, for example, that Harrelson and Mortimer keep hearing of or seeing disturbing episodes involving the Russian police. The second half of the film, like the best of Dostoyevsky, is a suspenseful cat-and-mouse game between Kingsley’s cop and Mortimer’s wife-with-a-secret. Transsiberian’s five main characters – every one of them – are fleshed out and interesting. How many thrillers can say that? Meanwhile, if you like train movies, this one is a treat. 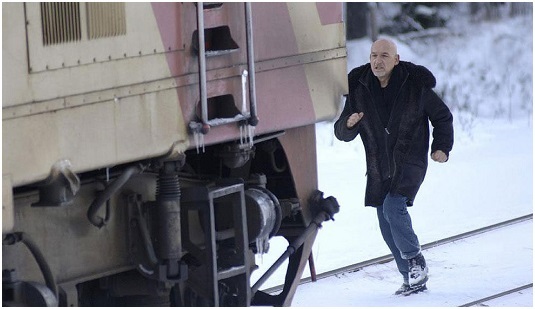 Filmed in Lithuania, Beijing, and Russia, the passing scenery is often a series of picture postcards from hell: cold, barren landscapes; toothless, miserable villagers; and, just to break up all that dreariness, an occasional breath-taking sight, such as the sparkling ruins of a church buried in snow (along with a body or two).